Need a Sample? No Problem! We’re happy to send you FREE samples, so you can see it before you order. We offer FREE logo prep on every item we sell. Whether you would like to add your logo, text or graphics—we’ll do the work for FREE! You will always get a FREE ‘e-proof’ before we proceed with your order! If you need it ASAP, we have a huge range of items that can be in your hands within 48 hours. Whether you’re looking for brand-named corporate apparel, everyday t-shirts and industry-specific uniforms and scrubs, we have 100s of lines available, and can customize any item with your corporate logo, text and/or graphics. 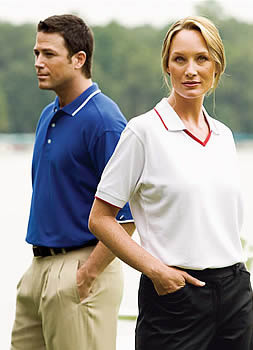 Want to learn more about how Office Mart can provide the perfect corporate apparel for your company? Check out our video library below to learn about decoration options and materials.